Customizable surveys or forms for gathering feedback and insight. Easily create custom surveys to better understand your donors, members, or volunteers. 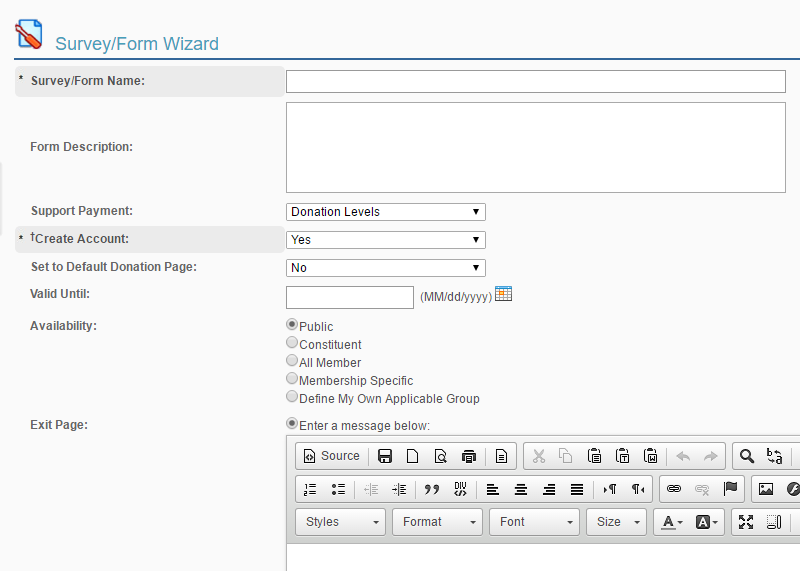 You can set standard fields and account custom fields to feed information to accounts on your system. Use “Toolbox Fields” for information specific to a certain survey. Customize various surveys to your specific needs and create forms easily with drag-and-drop survey building. Various adjustable properties for numerous types of fields. Configure properties such as label, token name, requirements, sizes, options and limits. Take the code snippet to embed the form on your website. See how Neon’s survey and form builder can help your organization. Take me to a free demo of Neon’s custom forms software.